I’m sorry for the silence on the blog folks, sometimes travelling just takes all my time you know – tut tut. However, in all seriousness, it’s been a crazy busy week and I got so much new things to tell you in a couple articles hereafter so stay alert: these are the reports you have been waiting for! On the 11th of June, me and the wonderful Kim V. (A fellow backpacker and volunteer whom I met upon arrival to Lima) got into a group bus ready to take us on a tour around the Sacred Valley. Two organisations were using the bus; we had signed up with SAS travel agency and paid 20$ for the full day tour. 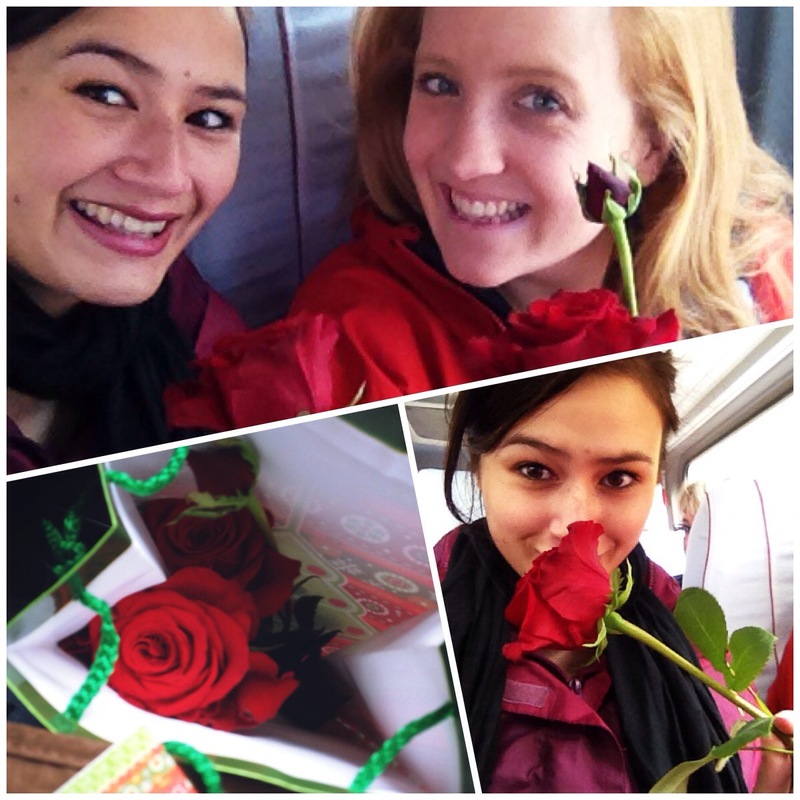 Before departure, they gave us a rose each which was an incredible sweet and complimentary gesture. 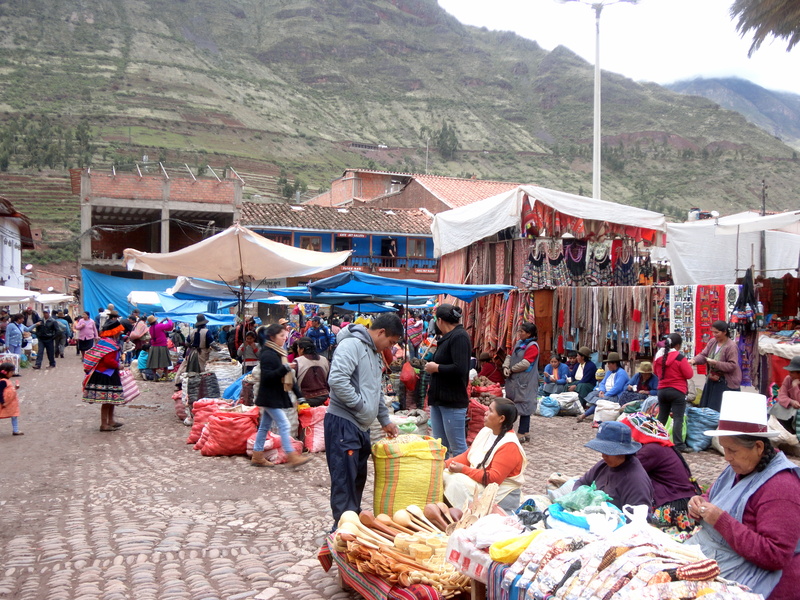 First stop was Pisac town; a very small town with a central market. 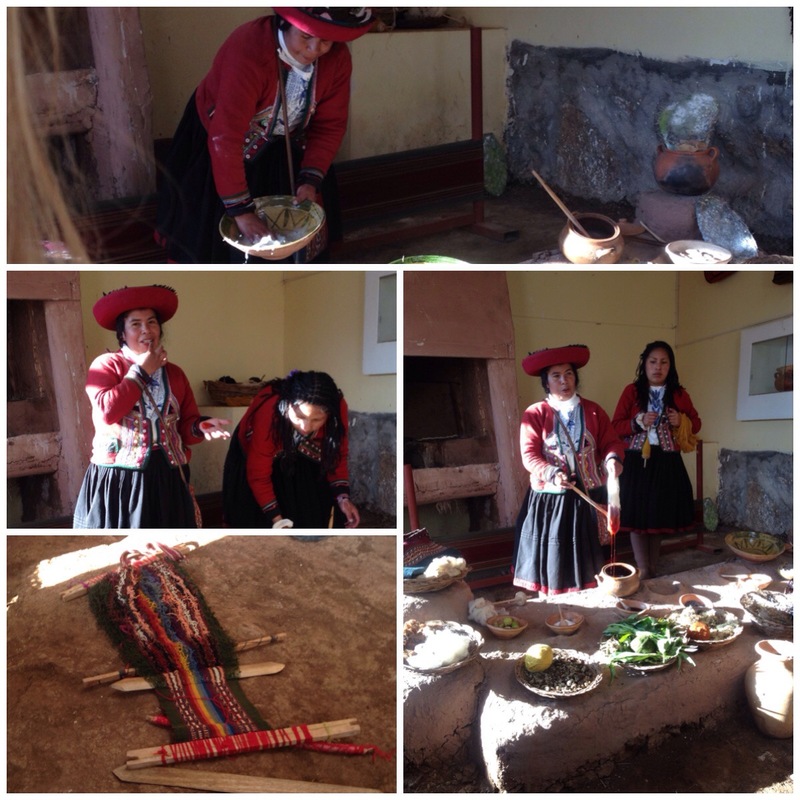 Here we learned how the Peruvians make necklaces with different colour stone and how to tell 100% silver from silver items that’s not (100% silver is too soft to be used for most things). After this we got to walk around the central market. It never stops to amaze me how brown the buildings and streets are, but how colourful the people and their cultural items are. It’s makes for one incredible mix! 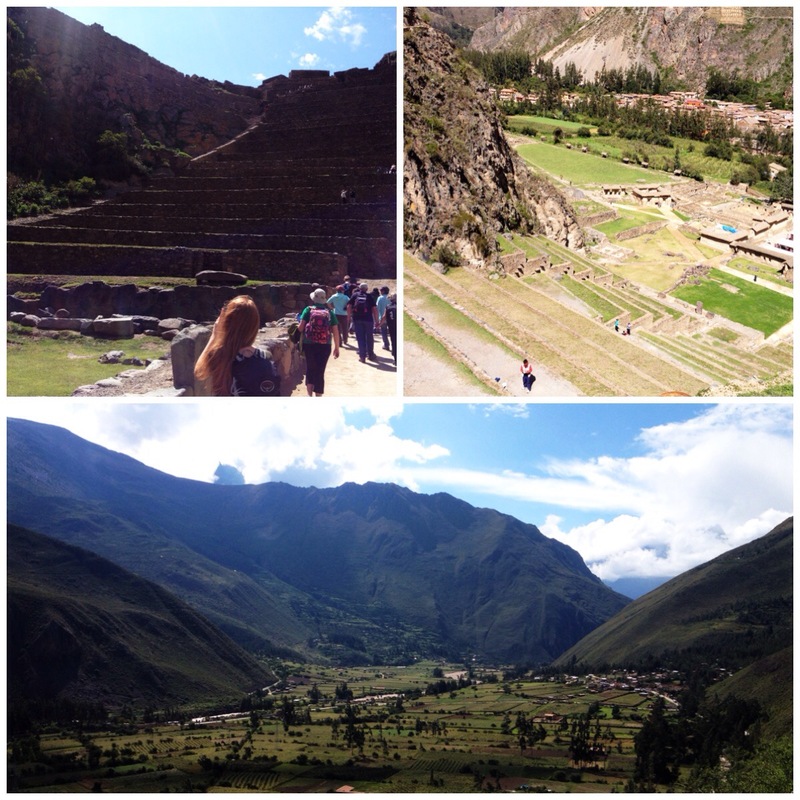 After the market experience (where we learned I’m terrible at haggling by the way), we were taken to Pisac’s archeological Inca site (ticket cost: 70 soles for an entrance ticket for all archeological/tourist sites for this day). It was – it made me speechless. And so does the Incas. The more I learn about them on this trip, the more I wish they were the world leaders of today; they built according to nature instead of against it; they had modern usage of their architecture such as laboratories and the like; war-wise they would be impossible to surprise being and using the mountains for protection; and their architecture – as carefully planned it is – can withstand natural disasters even today. 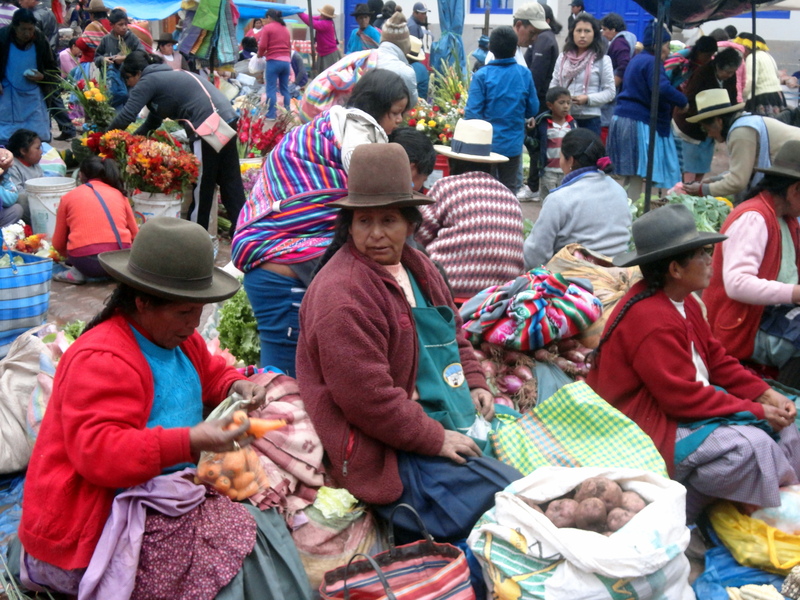 The Incas beliefs were founded in the spirit of the nature; Mother Earth with everything that includes (also us humans) is the source of connected energy that lifts the world up and forward. This is the same basis of my own spiritual belief (the celestine insights) which is inspired from the ancient ideologies of Peru. 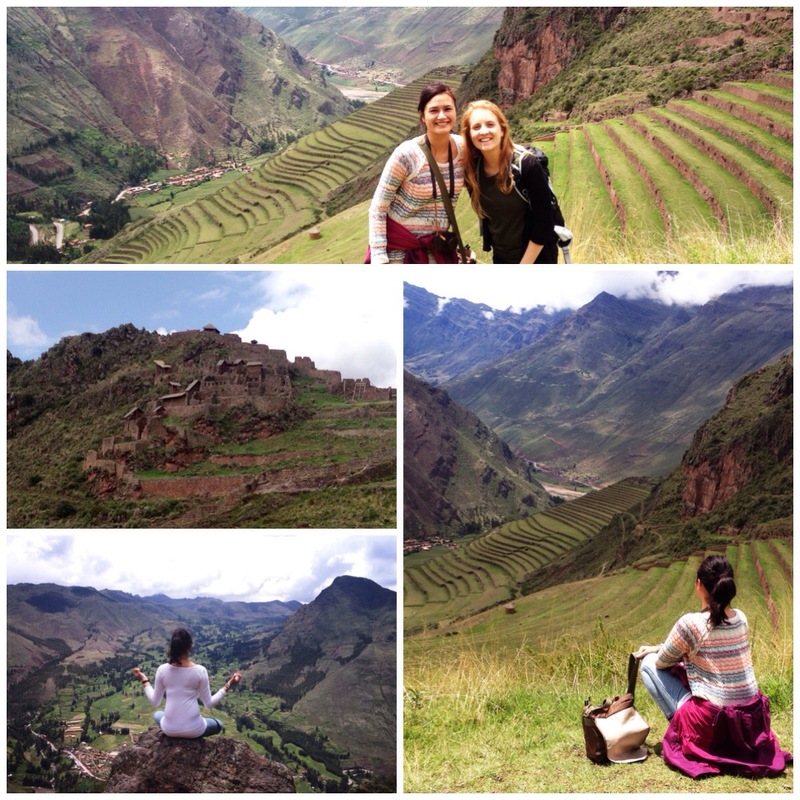 My belief was the main reason I wanted to come to Peru and I’m left in a deep awe after what I’ve learned. Second stop is a buffet lunch in Urubamba. I think this was the only disappointment on the trip. The buffet cost 35 soles, which I guess is a good price if you can eat anything in the whole wide world. I, however, am always careful with what I eat because I sometimes have allergic reactions and on buffets a lot of food is mixed. I would therefore have preferred to go to a place where you could order from a menu, but I understand that is difficult due to time restrictions. If you are all up for trying cultural dishes, however, you’ll love the buffet. And if you want to order your own food and, unlike me, can be bothered to go searching for it then you’re allowed to do that too. 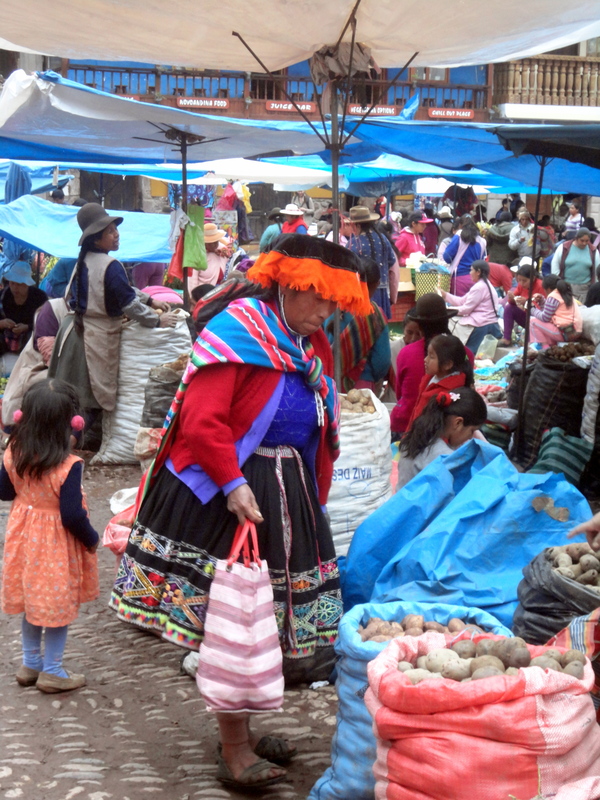 Third stop was the archeological Inca site and market at Ollantaytambo and this when you will know why going with SAS is the smartest move you do: SAS starts and finishes earlier than most of the other organisations. This means you’ll be at the Ollantaytambo site before all the other tourists and back in Cusco again in time for your orientation meeting at 7pm if you’re doing the Inca Trek (with SAS) the next day. People going to Aguas Calientes for other treks were also dropped off here. The view from this Inca site is incredible and leaves you puzzled as to how the Incas was ever conquered as they very obviously could not be surprised. The answer is that the Spanish forged alliances with the Incas many thousand enemies. I’ll leave it to you to compare that with today’s war strategies. Final stop was Chinchero where we got to see the traditional methods of colouring alpaca wool and making it into beautiful handcraft. I’ll leave it for your own tour to explain it all because I can’t do it justice. I’m still mindnumb on how they figured out how to use plants of the nature for all the different purposes they use them for. I’ve only told you a quick summary of the tour. There is a lot to see and learn and I’d recommend it on the highest; it’s a beautiful day with a lot of wonderful scenery. 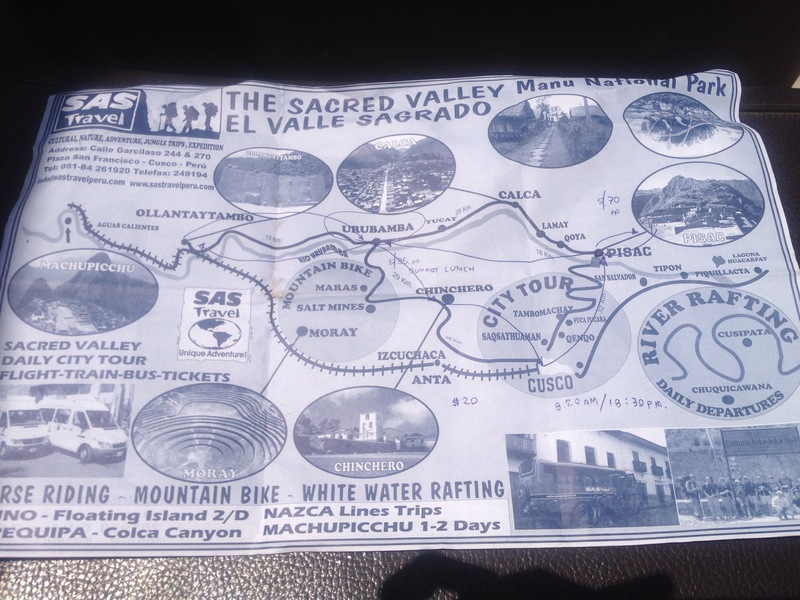 Although it’s touristy, it’s a lot easier and quicker to book the tour than to attempt seeing the Sacred Valley on your own (I’d imagine). The only thing I didn’t like was that the guide stressed us out, but, to be fair, I would probably be even worse if I was responsible for ten or so bewildered tourists and had to keep track of time at the same time. She was doing her job well. Note: this review is based on the writer’s personal opinion and may differ to the generals point of view. Different tour operators may also have a slight change in their tours from the others. Previous Post Flying high or sleeping right?